6.One motor comes along with the wheel. 7" color TFT LCD monitor. 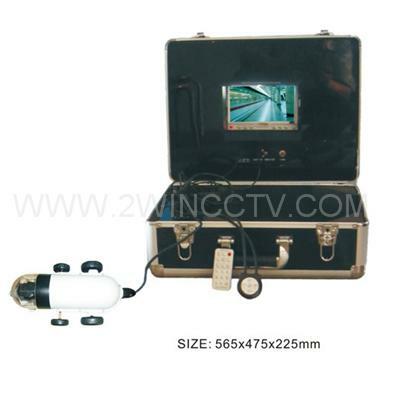 One of the camera can rotate in the pipe, the other camera can view the front environment. 18 LED lights and 4 wheels for the camera. One motor comes along with the wheel. Operated by the wired control FOB. The Mix diameter of the suitable pipe:230MM.